Fans rushed the stage as the first chords of ‘You Shook Me All Night Long’ rang out in the Laszlo Papp Budapest Sports Arena last October, writes The New York Times about Croatian perhaps most famous cello duo – 2Cellos or Luka & Stjepan. As the sellout crowd of 6,000 exulted, the performers kicked it up a notch. 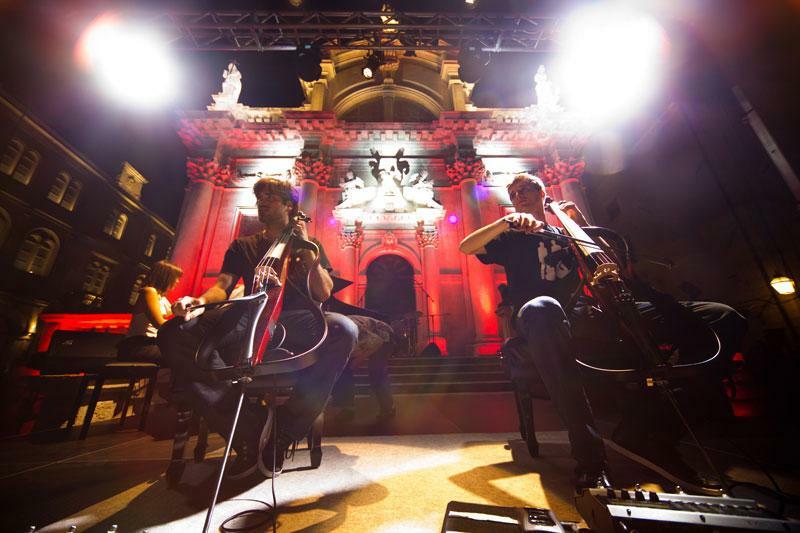 Luka Šulić and Stjepan Hauser made the crowd roar and scream by playing instrumental covers of songs by U2, Michael Jackson and Nirvana, and their arrangement of AC/DC’s ‘Thunderstruck’ has had over 59 million views on YouTube! These musicians are two classically trained Croatian cellists who perform as 2Cellos, and their genre is instrumental classical crossover – a small but surging subset of classical and pop music. 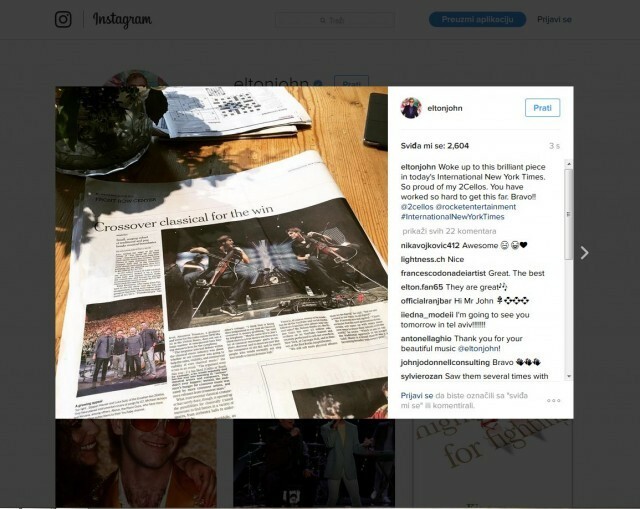 Among their many fans are Quincy Jones, Iron Maiden, Elton John… He even wrote ‘Bravo!’ on his Instagram profile mentioning 2Cellos the other day. Congrats to our famous musicians!